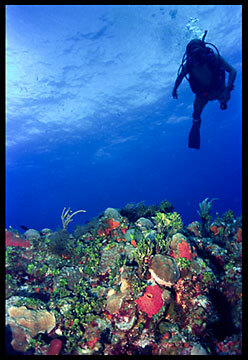 Scuba diving is a great way to encounter God in His creation. I held the dive mask to my face and somersaulted backward off the side of the boat into the tropical water. It did not take long for me to realize that I splashed into the middle of a huge school of stinging jellyfish. After placing the snorkel in my mouth, I began to dodge them while I waited several minutes for my friends to get into the water. As soon as they geared up and plunged into the water, I placed the scuba-breathing regulator into my mouth and we descended below the jellyfish. Then it happened! The beauty and the majesty of the reef struck me, as did the beauty, majesty and presence of God. 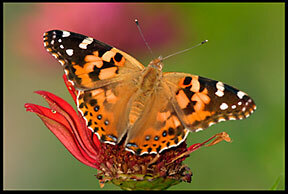 The timeless beauty of butterflies adorn the flowers of home butterfly gardens. They give us a glimpse into God’s glory. Whether in the ocean, the mountains, the deserts or in my house watching birds at a bird feeder, I often feel the presence of God. The Lord speaks to us through his creation. 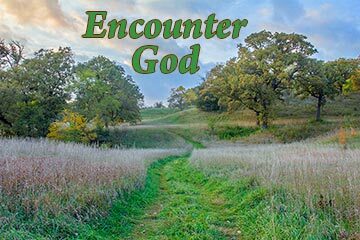 Moses, David, Elijah, Jesus, Paul and many more characters in the Bible encounter God in the wilderness. 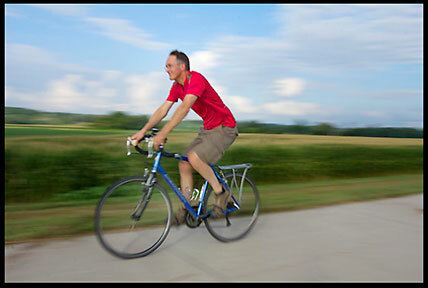 Many people like to experience the presence of God during the solitude of a bike ride in the wind and open spaces. 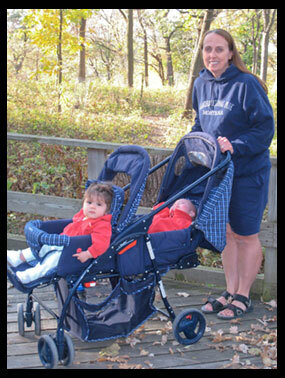 Even when our kids were too young to walk, my wife and I still enjoyed getting outside with them. Often I write in this blog about my encounters with God in His creation. Today, I want to hear from you. Do you or have you ever encountered God in the wilderness or while observing nature? This could be at the Ocean, in the mountains, on the shores of Lake, at a local park or even in your own backyard. Sorry to read that. What do you eyes tell you about God when you look at His creation? As far back as I can remember, God has felt most “real” to me when I stand in awe of his creation. As a pre-teen in school, I was lying on the grass one day, thinking about the evolution theory that my school was pushing on us (it was the 1980’s). It clashed with everything I was taught at home and at church. But as I lay there in the warm late spring sunshine, I observed the blades of grass dancing slightly in the breeze. An ant appeared and crawled up and down the thin green slivers of life. At that moment, God brought home to me that He created all these complicated, intricate forms of life and holds us all together…each in unity and dependence upon the other. Such amazing intricacy! I thought to myself “who could look at just the single blade of grass and a common bug and NOT realize that there is a Creator God!!”. Also, (if I’m allowed two stories 🙂 )…every time I gaze at the stars…God speaks to me. “What is man that you are mindful of him? ?” never fails to come to my mind. In the stillness of the dark, those beautiful, far-off stars make me feel so small, and yet so incredibly loved and in awe of God, all at once. Thanks Kelly! I like both stories. Both are oh so true. Your story about the ant, the blade of grass and the theory of evolution is awesome! All we need to do is look at the “simple things” in the world and we will see the hand of an amazing God! “who could look at just the single blade of grass and a common bug and NOT realize that there is a Creator God! !” Amen! Walking on a Norfolk beach (UK) one hot Good Friday, I came upon a perfect starfish in a little pool. Not having seen one before, I was entranced. ‘I thought you’d like it’, I felt the Lord say. I did. I see God every where the trees, the wind, the clouds. I go to my favorite park and just sit there and watch the river flow there I see God, nature is just a awesome that God has giving to us and it’s free ,just like a beautiful sunrise, and sunset, and watching the stars at night. I thank God every day for what he has giving us just ,because he loves us. That’s great, Mary! Thank you for sharing it. God bless you as you continue to find His presence in the outdoors. Looking at the intricate details of a butterfly, flower or bird is proof of God’s creations. My most recent encounter with one of God’s awesome creations was this past winter finding some Frost Flowers. I was so awestruck all I could say was “God you outdid yourself this time”. I found dozens…all shapes & sizes. That’s an awesome Story, Jeannie! The creativity and beauty of God is endless. i LIVE just 1/2 hour as the bird flies from the boundary waters. i literally live in nature. though im not a huge fan of the outdoors due to bugs/ticks and the huge amount of sensory/fears there. Wow Erika! It sounds like you live in a beautiful place. So many sites to see and sounds to hear. It’s great you enjoy creation’s beauty even without being a big outdoor person.